We are backed by a world-class infrastructure spread over a large area. This assure us to carry out the our entire production processes of Switch Boards with or without Remote Controls in a effective manner. For a hassle free production process, we have compartmentalized into various segments including production, quality checking, research & development, warehousing & packaging and logistic. Each of these department is headed by a expert team of professionals. The production unit is updated with latest equipment and machinery which help us to meet our deadline within stipulated period of time. In order to remain at the forefront while keeping pace with the advancements, we have established highly sophisticated research and development wing inside our premises. Manned by a team of talented researchers, our unit aids us in conducting extensive research and survey activities. Keeping a close watch on the changing trends and clients'' requirements, these research specialists suggest us innovative techniques that help us in improvising the existing product line. Moreover, the team also analyze the manufacturing processes to come up with improvised methodologies that help in reducing the production cost and time. We have a capacious warehouse facility to assure safety storage of our Switch Boards with or without Remote Controls products. 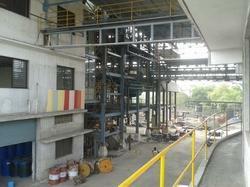 This warehouse is segmented into different sections to keep the array of products in a systematic manner. This unit is well connected with all the modes of transportation and this facilitates us top deliver the products within specific period of time. We have appointed well trained storekeepers, who keep notes of incoming and outgoing stocks of products into our warehouse. Our organization is also supported by expert packaging staff, who use quality and durable packaging material, which ensures delivery of products with utmost safety at client''s premises.